In case there are not enough cat photos on my blog yet, here is another one. I found this black last year during one of my hikes. 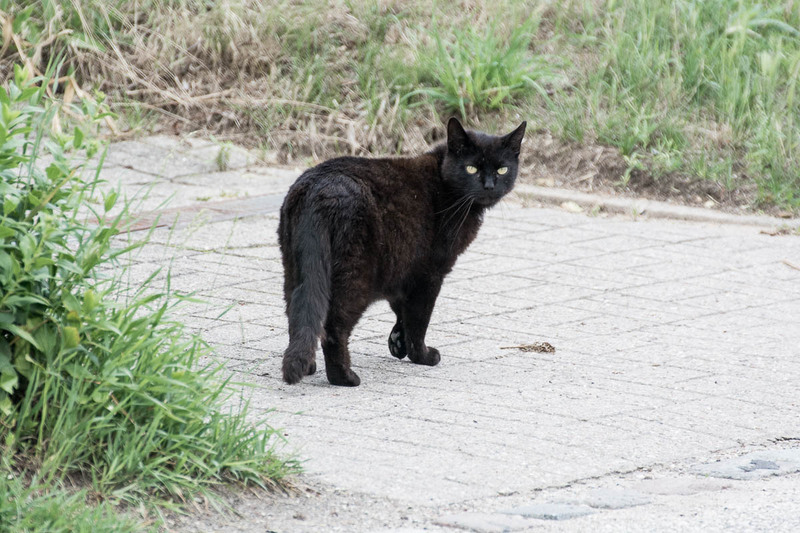 I’d say it’s a black cat but if you look closer, you will find out that there is a brown or reddish tone in the fur as well. I did already upload another photo of the same cat some time ago. I don’t have a lot of black cats in this category yet, so, I hope I will find more of them during future hikes. I have noticed this in some black cats, that they have this reddish brown tone in their fur. [ Smiles ] Cats are adorable. It is as though this one posed for the picture!